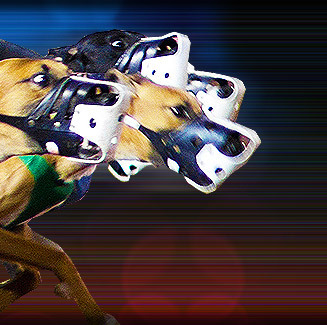 Gulf Greyhound Park, considered as the world's largest greyhound racing operation, opened on November 10, 1992. Since then, more than 10 million race fans have visited Gulf Greyhound Park and over $1.4 billion has been paid to winners. Gulf Greyhound Park was built on 110 acres at a cost of more than $55 million. Its 4-level complex features 315,000 square feet of climate-controlled comfort. Each level offers a variety of dining and view options. The track seats 6,600 people with a total capacity of more than 14,000. Closed-circuit televisions are also available throughout the complex for monitoring the races. Kennel Accommodations: 16 kennels house sixty greyhounds each. Each kennel is equipped with hot water supplies, whirlpool, central heat, heat alarm and fire alarm systems, plus 24-hour security. Gulf Greyhound Park is located at One block west of I-45 South at Exit 15, 30 miles south of Houston and 15 miles north of Galveston in La Marque, Texas, USA.